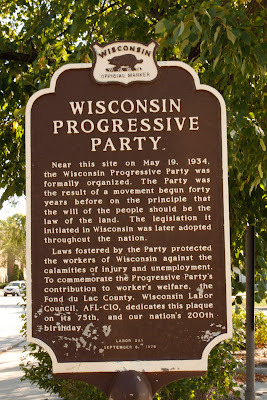 Near this site on May 19, 1934, the Wisconsin Progressive Party was formally organized. The Party was the result of a movement begun forty years before on the principle that the will of the people should be the law of the land. The legislation it initiated in Wisconsin was later adopted throughout the nation. 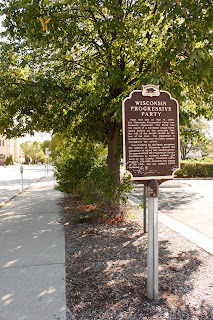 Laws fostered by the Party protected the workers of Wisconsin against the calamities of injury and unemployment. To commemorate the Progressive Party's contribution to worker's welfare, the Fond du Lac County, Wisconsin Labor Council, AFL-CIO, dedicates this plaque on its 75th, and our nation's 200th birthday. 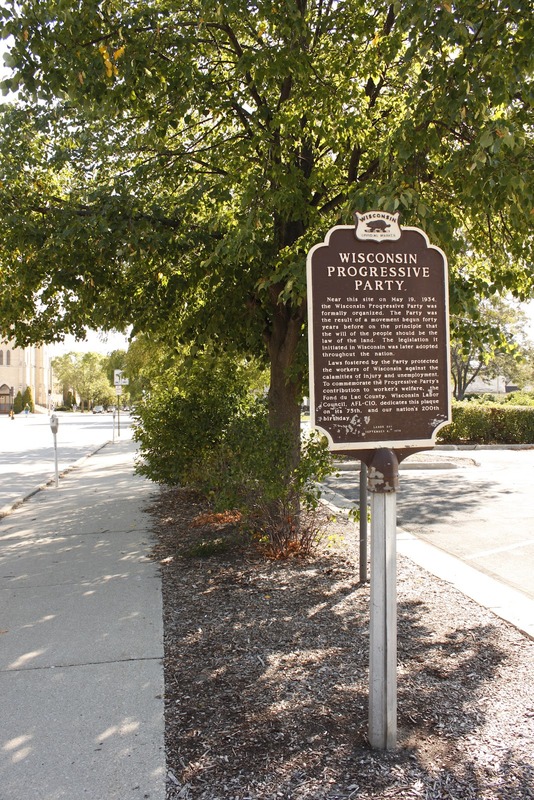 The marker is located on eastbound East 2nd Street, between South Portland Street (to the west) and South Marr Street / U.S. 45 (to the east), near 30 East 2nd Street, Fond du Lac, Wisconsin 54935.